Dedji has always had a case of wanderlust. 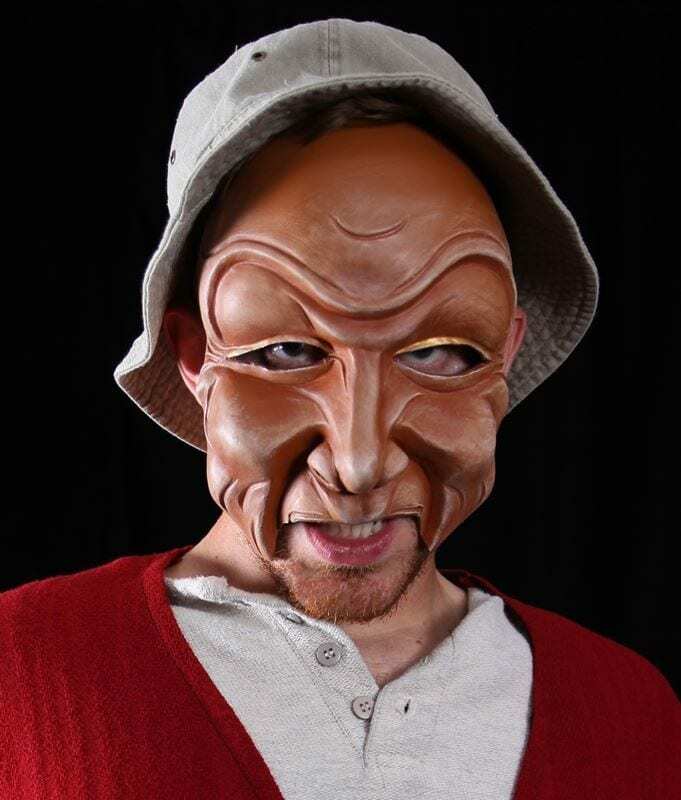 That’s why this mask joined the traveling carnival at just seven years old. As a result of this career longevity, Dedji can guess your age and weight and fry up a mean funnel cake. They used to let Dedji run the tilt-a-whirl, but that ended very, very poorly. Dedji sticks to the funnel cakes now. 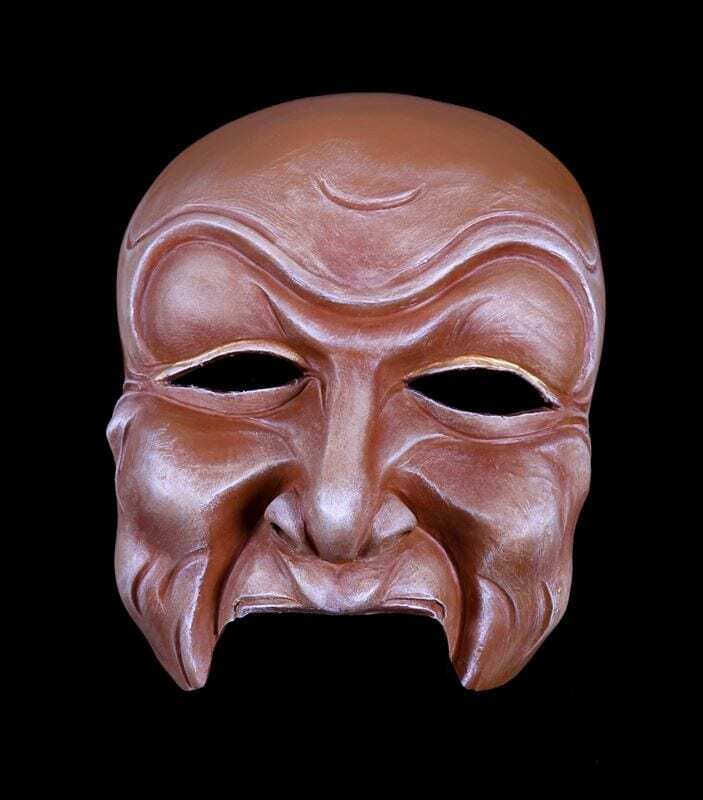 This character half mask is based in pride, arrogance, jealousy scorn and fear. The counter mask is one of poetry as it plays against the fundamental aspects of this form. 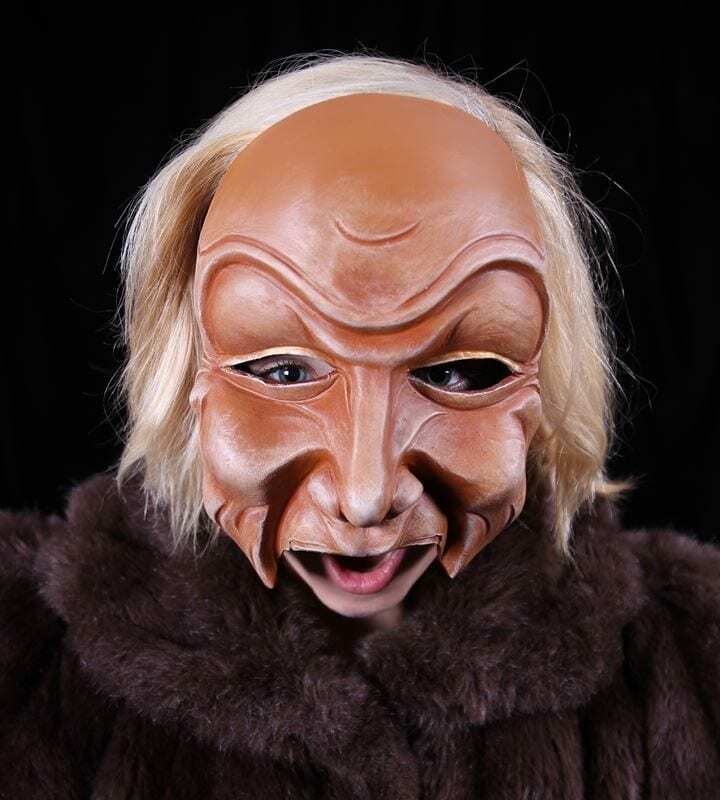 Students have a lot of success in bringing this mask to life and it has become a favorite.